The Good Samaritan Law (now effective in 20 states) went into effect in North Carolina on April 9, 2013. The basis for the law is overdose prevention and survival – get help, CALL 911! Individuals who experience or witness an overdose can now seek help for the victim without being prosecuted for small amounts of drugs/drug paraphernalia, or alcohol for persons under 21 years old under N.C. Gen. Stat. § 18B-302.2 Medical treatment; limited immunity. Additionally, as of August 1, 2015, a person who seeks medical assistance for someone experiencing a drug overdose cannot be considered in violation of probation, condition of parole, or post-release. Likewise, the victim is protected. In order for the immunity to apply, however, the 911 caller must provide his or her name, and act in good faith when seeking assistance, and reasonably believe that he or she is the first person to call for help. 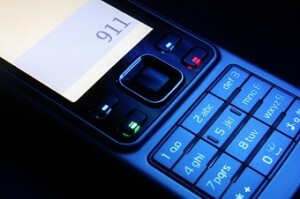 According to a recent statewide survey conducted by the North Carolina Human Resources Center, 88% of North Carolinians say they feel more comfortable calling 911 with this law in effect. With over 44.000 people dying each year in the United States due to drug overdose, one can only hope that this law will help save lives in North Carolina. Focus on the facts, be clear and concise. Address each alleged discriminatory act and your position regarding it and provide copies of documents supporting your position and/or version of the events. Provide a description of the organization; include the organization’s legal name and address, the name, address, title, telephone number and email address of the person responsible for responding to the charge, the primary nature of the business, and the number of employees. A staffing or organizational chart is also useful in helping to focus the investigation. Provide any applicable practices, policies or procedures applicable to the allegations in the charge. Identify any individuals other than the Charging Party who have been similarly affected by these practices, policies or procedures; describe the circumstances in which the practices, policies, or procedures have been applied. Explain why individuals who were in a similar situation to the Charging Party were not similarly affected. Identify official(s) who made decisions or took action relating to the matter(s) raised in the charge. Be specific about date(s), action(s) and location(s) applicable to this case. Provide internal investigations of the alleged incidents or grievance hearing reports. 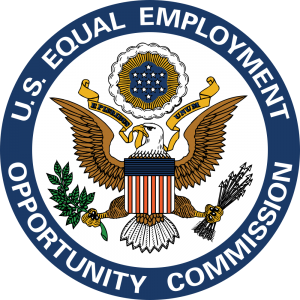 Inform EEOC if the matter has been resolved or can be resolved; if it can be resolved, please indicate your proposal for resolution. Sensitive medical information (except for the Charging Party’s medical information). Confidential commercial or confidential financial information. Non-relevant personally identifiable information of witnesses, comparators or third parties, for example, social security numbers, dates of birth in non-age cases, home addresses, personal phone numbers, personal email addresses, etc. Any reference to charges filed against the Respondent by other charging parties. Supporting documentary evidence is also important. You may submit statements or affidavits from witnesses with direct knowledge of the alleged events and/or from the alleged harasser responding to the Charging Party’s allegations.